Super fun 1970s yellow smiley face earrings. 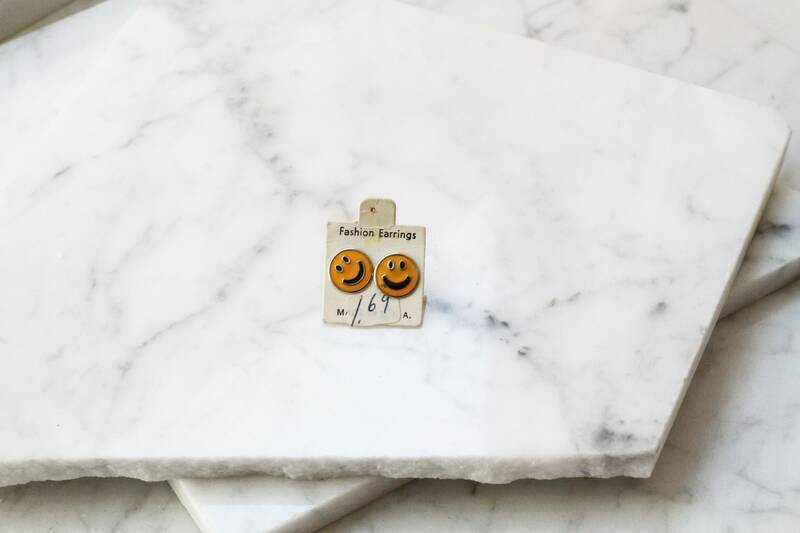 Darker yellow enamel fills the circle earring to create the happy face. 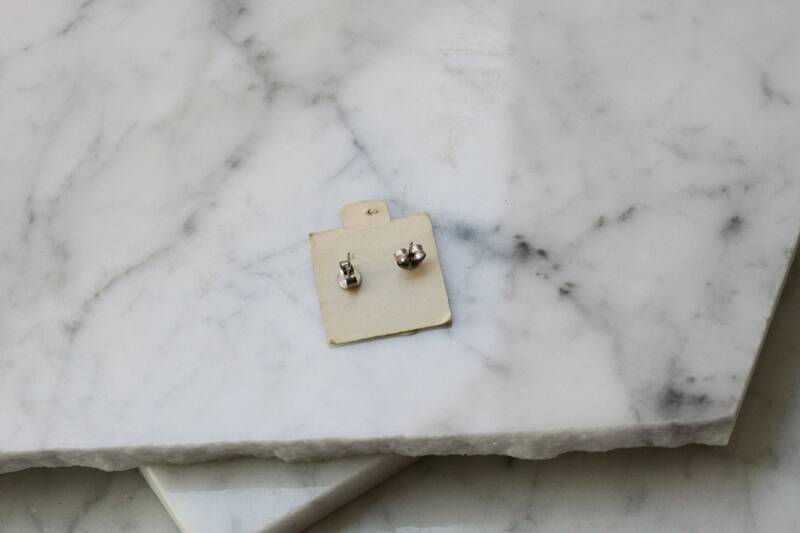 These earrings are attached to their original packaging. Post backings for closure.